Lying along the coastline of Vietnam, this city is well known for its beautiful beaches, tropical islands, and scuba diving. It is also home to ruins of the Champa Kingdom, Buddhist temples, gothic Catholic churches, natural hot springs, salt fields and unique waterfalls. Follow our guides to have a first look at this beach city. To get to Nha Trang, a flight is certainly can’t be beaten in terms of speed. Vietnam Airlines connects the coastline city with other main cities daily. 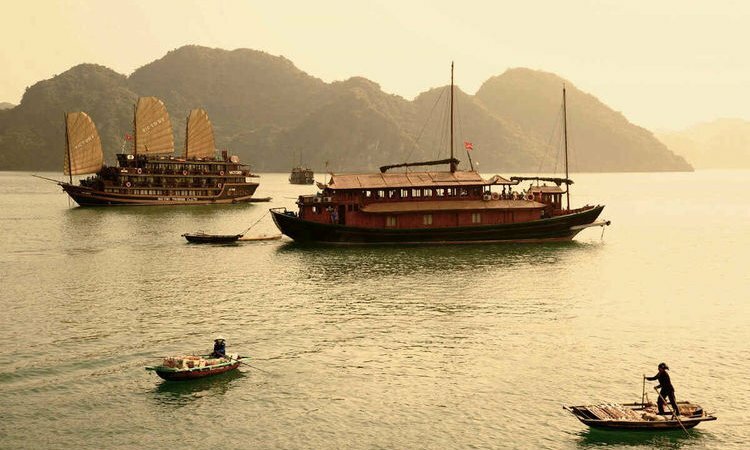 You need only 1 hour from Saigon and 2 hours from Hanoi, following another 45 minutes from Cam Ranh Airport - an old military port during the Vietnam War - to the city center. Bus and train are other two ways to get to the bay. But both aren’t good options due to the long distance unless you want to discover the country by land. Buses take 9 hours while trains take a night from Saigon and 15 - 20 hours from Hanoi. Ticket is cheaper but surely not an ideal choice for those who are limited by time. February to May: This is considered as the best time to visit. Weather is comfortably warm with an average temperature of 25 Celsius degree. The sea is clear and calm, and the water level is at its lowest during the year, make this period a perfect time for diving. June to August: Temperature and humidity begin to rise up, but if you don’t mind the heat, water-sport activities become more interesting. This is a good time for ecotourism. But June to August also sees a high density of domestic and Chinese tourists. If you don’t want to mingle in the crowd and bear a higher cost, you should avoid Nha Trang this period of time. September to December: The last four months of the year are expected the wettest months. Heavy rains and storms occurring sometimes might make beaches unable to swim. 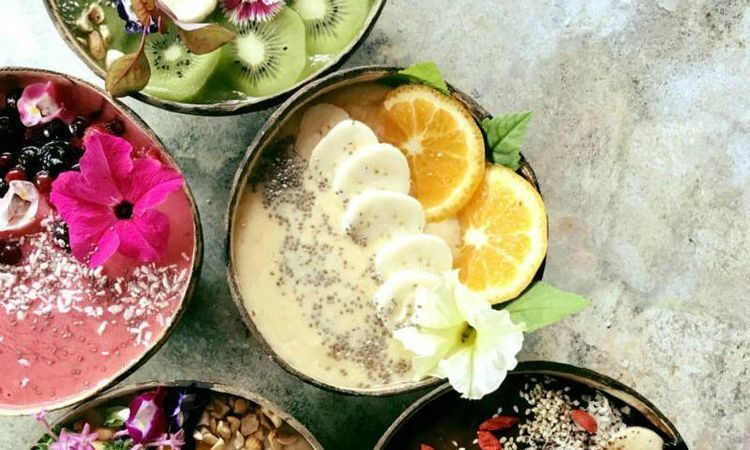 But there are certainly many other things in Nha Trang than just a swim (continue read to know what you can do in Nha Trang.) Service prices are at the lowest level of the year. Covered an area of 160 square kilometers including 8 islands, Hon Mun is one of the first marine protected areas in the world admitted by the International Union for Conservation of Nature. Hon Mun is home to nearly 200 kinds of corals and hundreds of tropical fish, crustaceans, and echinoderm. Along with the water clarity and biodiversity, this surely is the best place for diving in Vietnam. If lying on the beach becomes too boring, a hike to Ba Ho (Three Pools) Waterfalls is a great diversion. You’ll have an exercise in its true meaning. Ba Ho Waterfalls are 25 kilometers on the north along the coast. Once you’re here, you’ll have to hike up about one more kilometer to the first pool. The last few hundred meters are really a challenge with large boulders which are certainly not for elder or those are less of strength. When you make it up there, you can jump off from the large rock to swim and chill out in the cool natural pool. It’s well worth the trip. While the city center is quite busy with tourists, Doc Let Beach is the opposite. Only one hour driving from the town, it’s a deserted beach with perfect sands, calm water, and idyllic scenery. Along with swimming and sunbathing on the beach, from Doc Let, you can easily take a visit to Ninh Thuy commune - a small, charming fishing village. The villagers still remain a simple life in old houses which were built from generations ago with brick roof and coral reef walls. Location: Doc Let, Ninh Hoa, Khanh Hoa, Nha Trang. Near the Doc Let beach is the picturesque Ninh Diem salt fields - a point of interest for every visitor. With 3 sides facing the sea, salt production is the main industry of the village. The local start a new day on the field in the early morning. To protect from the heat and salt, they wear hats, rubber gloves, boots, and face masks. They don’t speak English, so a visit with a guide would be helpful to know more about daily life and how the salt is produced. 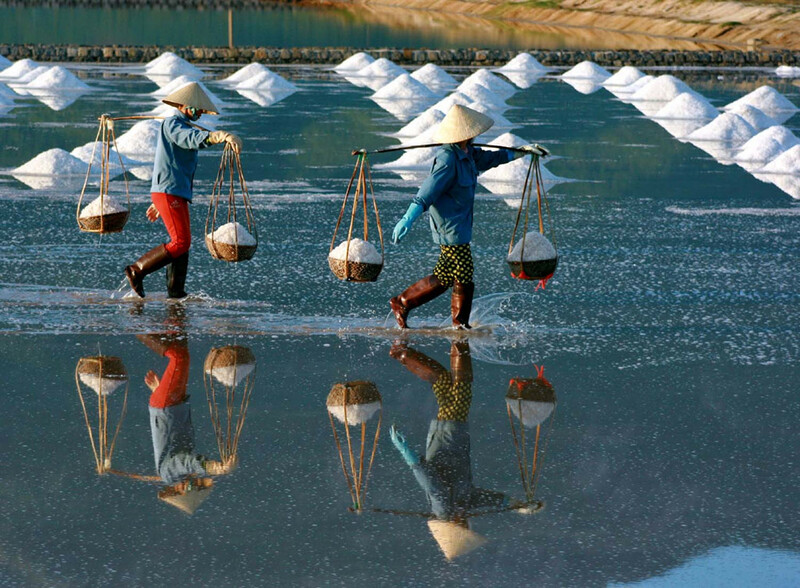 For those who love photography, Ninh Diem salt field provides one of the best photos that you ever took. Wait until you see mid-age women carrying white mineral in two wicker baskets, each weighs up to 10 kilograms, walking on long pieces of wood, then pour them into piles on the beach. The heavy load causes curve shapes of their bodies when they are crossing the field: A stunning image of the hard-working life printed on the glittering salt field. Location: Ninh Diem village, Hon Khoi, Khanh Hoa, Nha Trang. Po Nagar is the most well-preserved Cham ruins in Vietnam. Built in the 7th century, this tower is dedicated to Yang Po Nagar - the goddess who created trees, forests, rice fields, and taught the Cham to cultivate. The temple was built with red bricks, a staple of Cham architecture, with the design resembling of the Nagara temples of northern India. Built in the 19th century, Long Son Pagoda is a truly remarkable site that you should spend your time to visit. A path of 193 steps will take you to top of the hill. The highlight of Long Son Pagoda is at the 44th steps where houses a giant statue of Buddha on the state of Nirvana - the highest spiritual state of Buddhism. It’s beautifully crafted with a lot of details especially Buddha’s head. On the top of the hill is another 79 feet tall statue of white Buddha sitting on a lotus blossom. From here, you can easily get a panoramic view of the surrounding. A 20-minute boat ride from the Nha Trang’s pier will get you to Ninh Van - a sheltered bay which will blow your mind by its diverse wildlife, lush jungle forest, white sand, and clear water. All are still unspoiled by rampant tourism. 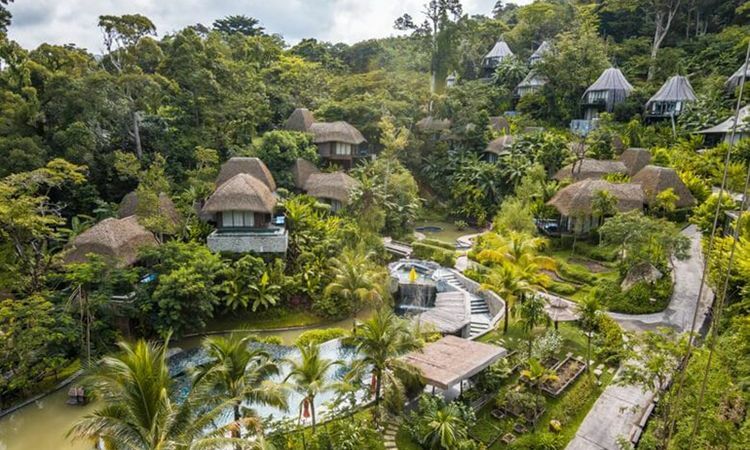 Sixth Sense Resort and An Lam Retreat are the two best overnight accommodations among a few options here. They are also listed in Top 10 Hotels for Soul Treatment and two of Top 10 Romantic Hotels in Vietnam. You will get a truly private accommodation as well as amazing treatment for bodily and spiritual rejuvenation at their Spa Center. Being a beautiful coastline city along with some of the most breathtaking mountainous landscapes, Nha Trang, no wonder, provides the best golf courses in Vietnam. The courses are well designed, make great use of natural beauty. Each hole is a unique challenge and has a fantastic view of the sea or the valley surrounding. A bike ride is the best way to enjoy the peaceful countryside of the north-central coastal region of Vietnam and visit some historic sites. A full-day cycling route will include Po Nagar Tower, Chong Rocks, Long Son Pagoda, and stop at Ninh Ich commune for a break. Talk to local to learn about their routine life before hopping back on your bike and continue the journey to Ba Ho Waterfall - the final stop of the route. At here, you can enjoy recreational activities such as swimming or hiking before heading back to the city center. Bicycles are easy to rent from shop and hotels. Nha Trang owns some of the most beautiful islands in Vietnam, cruising is the best option to visit them all in a day. You will be picked up at the hotel, then drive to the port where you board your junk. Expected a day with many interesting activities such as visiting floating fishing village to learn the local aquaculture and try on a basket boat, swimming, snorkeling, kayaking, and fishing at the charming and tranquil islands. Unwinding with a cocktail while admiring the clear blue water from the sundeck is a lovely experience on the way back. The unique but most relaxing experience in Nha Trang might be a mud bath. Claimed to have all sort of medicinal healing properties, it also has a lot of fun, and bring a true pleasure after dipping in the mud. This effective therapeutic cleansing promises to give you surprising smooth skin. 100 Eggs Mud Bath: Nguyen Tat Thanh Street, Nha Trang. While Nha Trang beach is becoming crowded, the three islands: Binh Hung, Binh Ba, and Binh Lap are quite the opposite. Not far from the city center, you can get to Binh Hung and Binh Ba by boat, and Binh Lap by car. All these islands have quiet beaches, smooth white sand, clear water, beautiful nature, and fresh seafood. A visit to the lobster farms will give you a deep insight into the main industry of the local on the three islands while a dive will give an opportunity to discover the underwater world. 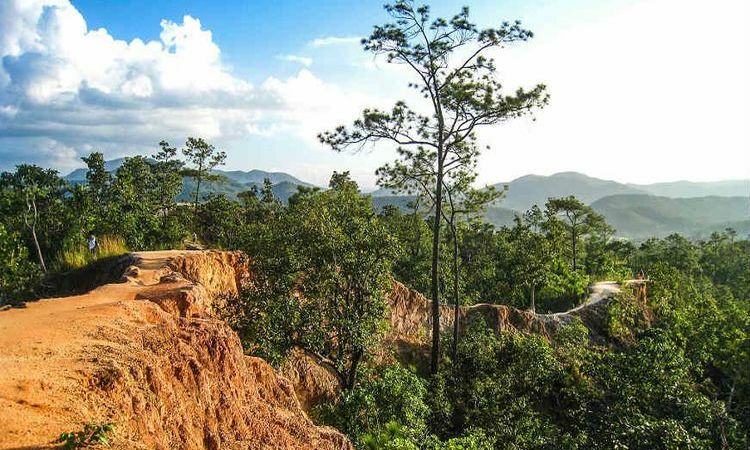 It’s about 100 km from Nha Trang to Nui Chua National Park, but this ecotourism destination is definitely worth to make a trip. The 24,400 ha natural conversation has a diversity of creatures that is typical of the tropical dry forest which can’t be found elsewhere in Vietnam. 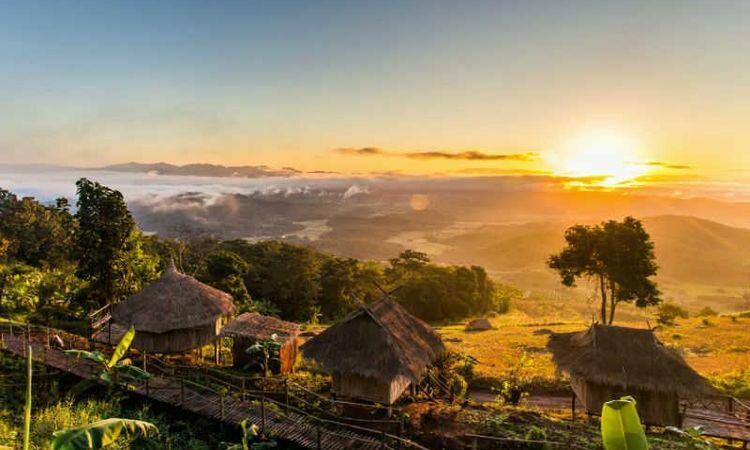 You can hike the national park to discover its many attractions such as Da Vach Mountain, Treo Lake (right on the top of the mountain), Rai Cave with ancient coral reef, and the turtle conservation area at Thit Beach - a natural breeding ground of some rare turtles. Located on Tran Phu street, Sailing Club is the most luxury nightspot in the city. The open-air bar spans over 2,400 square meters, boasts a Mediterranean-style with big sofas, sun loungers, dance floor, and lounger beds with oversized cushions set right on the beach. Once a month, the club hosts Insomnia party (which resembles Full Moon Party), where DJs spin the latest electro house tunes until 2 am. Opening Hours: daily 10:00 – 02:00 Address: 72-74 Tran Phu Street. Also has been called Stone Church, Nha Trang Cathedral is one of the most appealing attractions of the coastal town. The church was built in Gothic Revival style in harmony with the surrounding scenery. It is made entirely of stone, features impressive stained glass windows depicting saints. There are also a square clock tower and three cathedral bells which were cast in France in 1789 which are still working until now. If you go with children, you might want to try this park. A cable car connects the city center to the amusement land, offering dazzling views of the bay, promising a whole day fun that is to follow. Your children will love to play with a variety of rides such as swing carousel, merry-go-round, pirate ship, and small roller coaster at Amusement Park, have fun at the Water Park, or see a wide range of sea creatures at the Aquarium. But Vinpearl Land is full of Asian visitors in high season, you should consider before going if you don’t want to wait in line for an hour. What to eat in Nha Trang? Being a coastal city, there is no surprise when Nha Trang is famous for it fresh seafood which is caught in the day. Lobster, squid, urchin, crab, jellyfish, oyster, shrimp, and grouper are some kinds that most visitors opt for. Nem nuong is a favorite local dish of Nha Trang. The fermented pork is grilled by charcoal then rolled with rice vermicelli, fresh herbs, chilies, and garlic by a rice paper. Dip it in a sweet and spicy sauce and enjoy. Another popular dish of Nha Trang. Rice flour batter is added to a large hot iron pan which has many small, round holes. The seller tops the cakes with quail eggs, chopped meat, and a half of shrimp. The crunched Banh Can is served with vegetables, shredded green mango, and dipped in the sauce. is crepe-like pancake that’s made of rice flour and turmeric powder (to give the pancake its attractive yellow color). The seller pours the flour into a small hot pan, tops with pork slices, shrimps, sliced onions, bean sprouts, and button mushrooms before fold it in half. To enjoy Banh Xeo, you wrap the savory pancake with lettuce and herbs in a rice paper before dip it into the sauce. 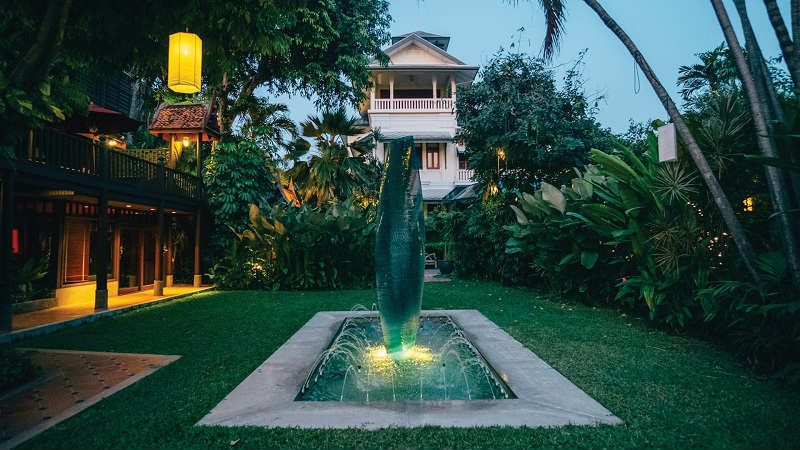 An Lam Retreat: Located on in the middle of Nha Phu Bay and Nha Trang Bay, An Lam Retreat Ninh Van Bay is surrounded by blue sky, turquoise water, lush greenery mountain and golden sand make it perfect for people who want to run away from the hectic life. Six Senses Ninh Van Bay: Run away from bustle life to hide in peaceful nature and immerse in the elegance at one of 54 luxurious villas which are scattered over cliffs, hills and along the beach of the Six Senses. Evason Ana Mandara Nha Trang: Named as one of the best-located resorts in Vietnam, Evason Ana Mandara offers beachfront rooms for uninterrupted ocean vistas and secluded gardens. InterContinental Nha Trang: Spoiled yourself in the latest modern luxury beachfront InterContinental hotel is the best way to experience the perfect blend of local charm and elegant lavishness. If you fancy a trip to Nha Trang, contact our Vietnam travel expert to plan your summer vacation from now. You can either book our related tour or customize your own tour with our expert's help.